When Johnson & Johnson launched its Campaign for Nursing's Future more than a decade ago, it helped address a dire nursing shortage. Now it wants to inspire nurses to be medical trailblazers. hat words come to mind when you hear "nurse"? Is it terms like "compassionate," "kind" and "comforting"? All of these are apt ways to describe the work that nurses do each and every day. But chances are you likely didn't think: "innovative." Yet that's exactly what many nurses are—often unsung innovators. And Johnson & Johnson wants to help change that. So the company is rolling out a new initiative to highlight the equally important role nurses play as medical pioneers who are changing human health. Johnson & Johnson has been a longtime advocate for the profession, dating back to 1897, when a company nurse, Elizabeth Washam, helped lead the first-ever large-scale manufacturing of sterile surgical dressings. And in 2002, the company launched the successful Campaign for Nursing’s Future to help tackle a then-nationwide nursing shortage. 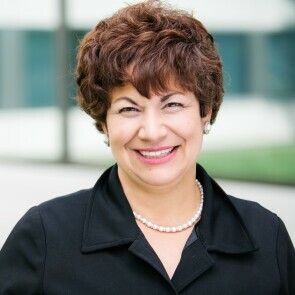 We talked to Colamarino about the new direction for Johnson & Johnson's nursing work—and the impact she hopes it will help make on the future of nursing. Why did Johnson & Johnson initially launch the Campaign for Nursing’s Future? In 2001, the U.S. was in desperate need of more nurses—and that number was only expected to grow to 500,000 by 2020. Healthcare institutions that were customers of Johnson & Johnson knew this deficit would put patient care at risk, and we knew they could not deliver their best care without nurses. So in 2002, we launched the campaign to inspire more people to enter and stay in the profession. We aired TV commercials; awarded scholarships and grants (over $20 million to date); launched a dedicated nursing website, Discover Nursing; and partnered with more than 25 organizations, like the National Student Nurses' Association, to drive up recruitment. And it ended up being really successful. In the last 16 years, 1.1 million people have received their bachelor’s degree in nursing, and the number of master’s and Ph.D. degrees in nursing increased fourfold. Johnson & Johnson received more than 100 awards in recognition of our work through the campaign. Can you tell us more about why you're now changing the direction of the campaign? In 2017, we decided to reevaluate the program and look at what was happening in healthcare and the nursing community. We learned that the recruitment that was so critical in 2002 to address the nursing shortage was no longer the primary need—but there is still important work to be done. And that’s where nurses come in. There are many examples throughout history of how nurses, by working closely with patients, have brought innovative ideas to patient care that have changed and improved outcomes. But many people don’t have this perspective of nurses. We think it’s critical that people see the incredible value that nurses can bring to healthcare—and that nurses are empowered and supported to do even more. One way Johnson & Johnson is doing this is by sponsoring nurses to attend Nurse Innovation and Entrepreneurship program events at Northeastern University, including the Nurse Hackathon. The company is also a sponsor of the Cleveland Clinic’s 6th Annual Nursing Innovation Summit. In addition, we're partnering with Johnson & Johnson Innovation, JLABS to launch the J&J Nurses Innovate QuickFire Challenge. We’ll be inviting nurses to submit their innovative ideas, and the winners will get access to up to $100,000 in funding, as well as access to JLABS resources and seminars to help bring their ideas to life. We also plan to share stories of amazing nurses who are currently working at the forefront of innovation on nursing.jnj.com, where you can read about nurses like Elizabeth B. Mikula, who collaborated with doctors at Children's National in Washington, D.C., to develop a better screening process for infants with congenital heart disease (CHD). Her screening process helps diagnose CHD before the baby becomes sick, allowing for early intervention and a better opportunity to lead a healthier life. When utilized, the screening has helped reduce early infant deaths due to CHD by 33%. What are some of the obstacles facing nurse innovators? Some people think nurses just implement what other healthcare professionals tell them—and only provide loving, tender care for the patient. We hope to show that these men and women are doing so much more: They’re developing new treatment approaches and protocols, and innovative medical devices and consumer products that are driving changes in patient care. But it’s also about changing the perception that nurses have of themselves. 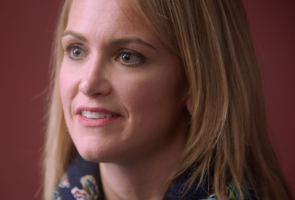 We hope stories like Mikula's will not only help nurses think differently about themselves, but also open others’ minds to see the breadth of what nurses are capable of—that they've got visionary solutions, too. Johnson & Johnson is working to profoundly change the trajectory of health for humanity, and we see healthcare workers, including nurses, as our critical partners on the front lines of healthcare. 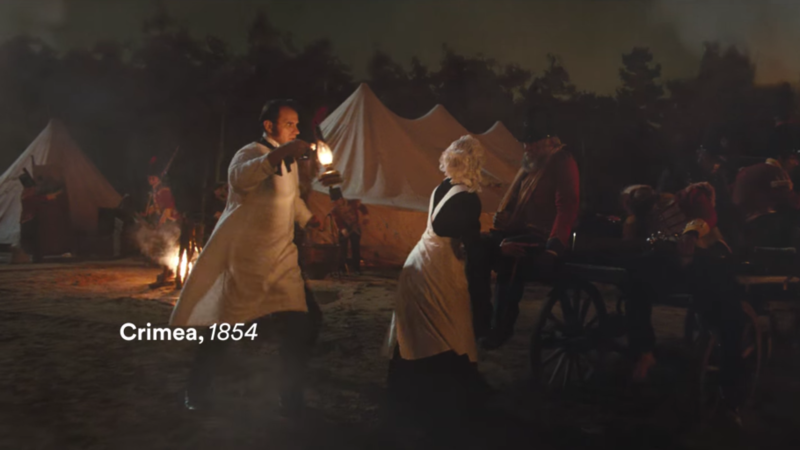 Learn more about how forward-thinking nurses have brought memorable innovation to patient care throughout history in this video.